We supply red diesel across London and UK-wide too with same day & next day deliveries. Looking for Cheap Red Diesel Fuel Prices? If you’re looking for a reliable and well established (1947) red diesel supplier with long payment terms and can offer you same day (in emergencies) or next day fuel delivery then we are here to help! Give us a quick call now on 020 764 994 02 and one of our team will be more than happy to help. Our lines are open 24/7 meaning we are always here when you need us! Why choose Crown Oil for London red diesel fuel prices? Here at Crown Oil, we can supply you with the red diesel you need in London, today! 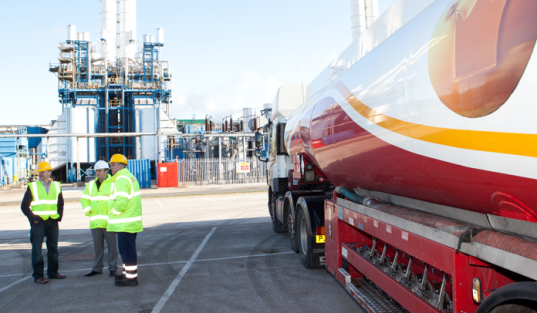 With 70 years of experience as fuel and lubricants suppliers, you can rest assured that we can meet your fuelling requirements and deliver quality fuels to you when and where you need it. To place an order for red diesel in London and throughout the UK, simply call our fuels team on 0845 313 0845 and we will take care of the rest. Order from 205-litre barrels up to 36,000 litres or more! Since London is the capital city of England and the largest city in the United Kingdom, it is home to many construction and industrial projects to meet the rise in business users and high levels of tourism. Our fuel tankers are capable of delivering gas oil/red diesel or other fuels in and around the London areas, from Wembley, Richmond and Fulham to Bromley, Barking and Woodford. Our experienced fuel delivery drivers are familiar with all routes and can navigate around the city with ease, even where usual access is sometimes more difficult to reach. With more than 8 million people living in London, there is a demand for regular red diesel deliveries to be made in the city. Whilst sightseeing throughout London, from Big Ben, Houses of Parliament and across the Thames, to the London Eye, you can also expect to see our red diesel fuel tankers, delivering fuel to our commercial, industrial and other business customers. How do I order red diesel fuel in London? It’s easy! To order red diesel in London or anywhere else in the UK is quick and easy. Call our fuel experts now on 0845 340 3981 and we will be happy to assist you further. Wherever you need to order red diesel fuel from, throughout the UK and whatever size company you are calling from, let Crown Oil manage your fuelling requirements.